Essential oils can serve as a wonderful and natural alternative for traditional medicines to treat common illnesses at home. 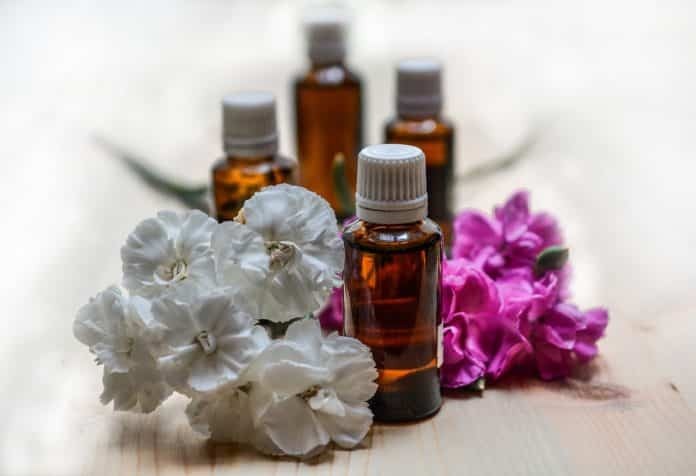 The uses of essential oils are extremely diverse, and range from topical antiseptics and anti-inflammatory to analgesics, digestive system tonics, and anti-depressants. While essential oils are not and should not be substituted for the professional care you receive from a doctor, they can be easily used for many minor illnesses and injuries, and can also act as supplements to other treatments. This is an overview of the top ten essential oils and their uses you should own and keep in your medicine cabinet. There are thousands of essential oils, and each can provide unique benefits to the human body, but this essential oils guide will go a long way to providing basic and effective care for you and your family, treating things like cuts and scrapes, digestion, sunburn, stress-related conditions and more. When first examined for its antiseptic properties, Tea Tree essential oil was found to be 100 times more powerful than carbolic acid, which was the medical standard at the time. Tea tree oil has an extremely broad range of antibiotic, antiviral and anti-fungal properties that have been proven and used by modern scientific research. Often used topically on small wounds, Tea Tree is also commonly found in oral hygiene preparations, and can also be effectively employed for Candida, athlete’s foot, and acne, among other things. Lavender has been referred to as a complete medicine for its wide range of uses. Every home should keep Lavender on hand, even if no other oil is used, since it is very effective for treating minor burns. Its anti-inflammatory action has been used since the modern re-introduction of aromatherapy. Dr. Jean Valnet discovered Lavenders healing properties after being burned in a laboratory accident. Lavender is considered to speed wound healing and reduce scarring. The oil is also pleasantly calming, and can be used to reduce stress in a variety of situations. A commonly used technique is to apply Lavender oil undiluted to the soles of the feet of patients recovering from almost any ailment. It is calming to the senses and speeds recovery from sickness and injuries. Ah, the great tension reliever, Chamomile oil. This extremely gentle essential oil is useful for a wide variety of nervous conditions and is often indicated for cases of stress in children (including teething and cranky baby syndrome). Rubbing it into the abdomen is a commonly used method to relieve tension. Chamomile essential oil is available in two varieties, German, or “Blue” Chamomile, and Roman Chamomile. The Roman variety is most often used for stress relief, whereas the German variety is used for its anti-inflammatory properties. An excellent digestive tonic, Peppermint essential oil can soothe many stomach issues and aid in treating the digestive system systemically. For travelers, it is effective in calming motion sickness. Further, at least eight controlled studies have shown Peppermint oil to be effective in reducing symptoms of irritable bowel syndrome – a painful condition of the intestines. Beyond the benefits to the digestive system, Peppermint is very stimulating to the mind, brightening and sharpening mental focus. Finally, Peppermint is considered by some to be the most effective insect repellent you can use. Insects hate the stuff, and now you don’t have to use ozone-depleting insect repellents that smell terrible – you can smell wonderful AND keep bugs away. Another essential oil with a broad range of properties, Eucalyptus is most often used for respiratory conditions, being useful in clearing congestion with coughs and colds. However, its effects are certainly not limited to the airways. Because of its broad range of effects, it even referred to as a designer oil amongst essential oils. Eucalyptus oil can cool the body in Summer or during a fever when used as a compress, and it supports the immune system in Winter. Diffusing Eucalyptus oil can kill most staphylococcus bacteria, which supports the healing of sickness and side effects of illness in the lungs. It is considered equally effective in cases of cystitis, candida, and sunburn, to name a few, as well as being an effective insect repellent. Eucalyptus oil smells very clean and is used as a rejuvenating fragrance in soaps and shampoos. Geranium, also known as Geranium Rose, works wonderfully on both physiological and psychological levels. Its flowery aroma is brightening and uplifting, and it also works as a sedative. Malte Hozzel, a renowned naturalist, has made this statement regarding this oil: “Geranium’s vital, sensual presence is not subtle, but direct & unavoidable, making it one of the oils of choice for aphrodisiac qualities. (Geranium Essential Oil) inspires natural beauty & enjoyment, uplifts instantly & “tonifies” the mind & intellect in a powerful, nearly demanding attitude. Mobilizing hidden creative & emotional reserves, helping us to rise to our own earthly & spiritual identity. A fiery beauty for the spells of all worlds.” Particularly noted for its effect on female physiologic conditions, Geranium oil can be effective for relieving menopausal symptoms, uterine issues, and breast complaints. Rosemary essential oil is an effective physical and mental stimulant, and can be used both topically and in aromatherapy concoctions. It has a slightly spicy fragrance, rather than a floral aroma, and it has a warming effect which is useful in aiding arthritis and muscle aches. It also has a long history of treatment for colds and influenza. Rosemary was a component of “Four Thieves Vinegar,” which robbers rubbed upon their bodies to prevent infection when up to no good during the plague years of the middle ages. As an added benefit, Rosemary oil can be rubbed into the scalp, which aids in hair regrowth for alopecia sufferers. Thyme oil is a powerful antiviral, antibiotic, antiseptic and diuretic. However, Thyme can be dangerous if not used properly, so handle with care. There are many types of Thyme oil available, but only the “linalol” chemo-type is appropriate for use with children; all varieties should be diluted prior to topical application. Full strength use of this oil will cause more harm than good. Given the precautions, Thyme can be the first line of defense in cases of flu, being used in a room diffuser. It also supports the elimination of toxic wastes from the body (particularly noted for excess uric acid), and its warming quality can eliminate mucous and phlegm. Its application for the digestive system is that of a powerful anti-parasitic, and for the muscular system, it can be helpful for rheumatic aches and pains. Thyme oil may also be supportive in cases of hair loss. A recent study on test-taking college students showed the diffusion of Lemon oil into a room improved test scores more than any other oil. In addition to its mind-brightening qualities, it can also disinfect room air and act as a natural deodorant. Lemon has been noted to support liver function and is also commonly used to assist in weight loss and cellulite reduction. In blends, lemon adds a pleasant top note and can create a synergistic effect with other oils. Finally, Lemon oil is commonly used as both a fragrance and flavoring agent. To top it all off, lemon oil is also a powerful insect repellent and can be added to house cleaners to freshen the home and keep insects away. The power of Clove essential oil is noted upon the first sensing of the aroma. Clove oil has a strong, spicy, and earthy fragrance. Clove oil has been found to be the strongest anti-oxidant of any essential oil, and is a component of longevity formulas. It is also an extremely potent antibacterial, effective against a broader range of microbes than any other oil except perhaps Oregano. Clove oil has even been employed to sterilize surgical instruments. Clove also has analgesic properties and can be used to temporarily reduce the pain of a toothache. Clove oil (or ground cloves) is also a component of Dr. Huda Clark’s anti-parasite protocol, helping eliminate parasites from one’s digestive system. This is a very powerful oil which should be diluted to 1% or less for topical application. There are the top ten essential oils that can round out your medicine cabinet and provide many uses at home. Keep in mind to always consult your doctor in case of any serious illnesses or health issues, and be careful to use essential oils properly, or they can be dangerous. That being said, essential oils can provide a wide variety of uses and benefits, and should be considered for inclusion in your first aid kits! Margaret Allen is a lifelong resident of Landover, MD and a mother of two bright girls. 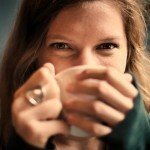 She is a health, wellness, and family contributor at Seekyt and an experienced fitness coach and nutritionist. She helps her clients set goals and be the best and most healthy versions of themselves.